Is Haiti’s Justice System Up to the Test? By Javier Zúñiga, special advisor at Amnesty International. Bringing to justice current or former heads of state is always complicated – in both legal and political terms. But it is possible. Time and again, former dictators and human rights abusers have been tried and convicted in countries across the world. But in Haiti, where the judiciary still suffers from structural deficiencies inherited from the dictatorship years, bringing former President Jean-Claude “Baby Doc” Duvalier to justice over his alleged responsibility for crimes such as torture, killings and disappearances during his time in office is proving particularly challenging. The former leader showed contempt for the justice system and victims by failing to appear at two previous hearings for his alleged involvement in those crimes. On February 21, he is due to appear in court again. Yet the backdrop to the case sees Haitian authorities showing little real interest in pressing for Duvalier to be held accountable for his actions. 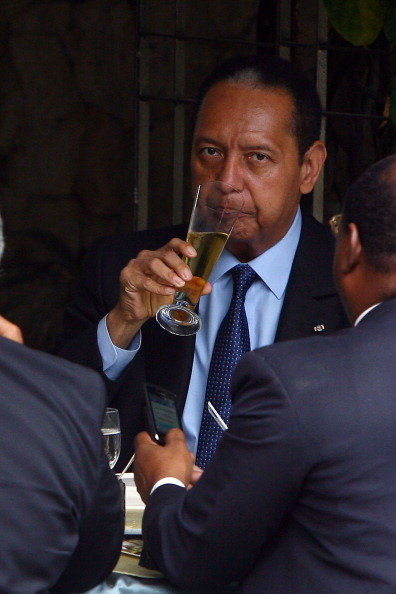 Indeed, in several public statements, President Michel Martelly has hinted at pardoning Duvalier. Meanwhile, the former Haitian leader has continued to take part in public events, despite having being placed under house arrest while charges against him are investigated. 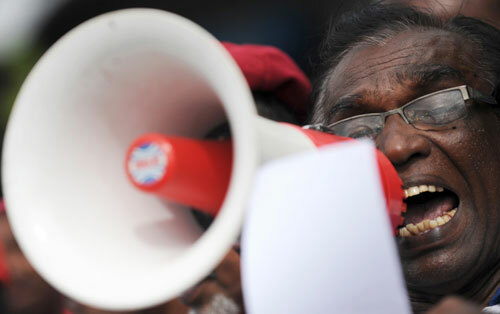 Sri Lanka’s human rights record doesn’t get much international attention these days. But that’s going to change on November 1 in Geneva, when the U.N. Human Rights Council examines Sri Lanka’s record as part of the Council’s “Universal Periodic Review” (UPR) procedure. Sri Lanka has a lot to account for, especially its continuing use of security laws against peaceful, outspoken critics, including journalists. Hundreds are being detained with no charge or trial. Many detainees have been tortured while in custody, and some have even been killed. No one has been held accountable for these crimes; impunity reigns. I want to tell you a story about a man arrested in Sri Lanka. It’s shocking. In June 2008, “Roshan” (not his real name) was arrested in Colombo by unknown assailants who he later learned were plainclothes police. The police suspected him of links to the opposition Tamil Tigers. He was held for two years without ever being charged or tried and was repeatedly tortured, before eventually being released. No one has been held accountable for his treatment. Ali Abdulhadi Mushaima and Fadhel Al Matrook wanted to live in a free Bahrain. For this they came out on the streets, inspired by the courage of protestors in Tunisia and Egypt. For this, they lost their lives. Ali Abdulhadi Mushaima was killed when live ammunition was fired into a crowd of protestors on Valentine’s Day in a village in Bahrain’s north. A day later, a funeral procession began from the gates of the hospital where he breathed his last moments. Fadhel Al Matrook had come to pay homage to this martyr of freedom but before long, he too became the target of live shotgun pellets fired into the crowd of mourners. He too died of his wounds. The authorities in Bahrain had no compunction about cracking down on the Day of Rage protests that were organized by rights activists on February 14, 2011. Inspired by the events in Egypt, protestors have been calling for the right to free expression, the release of political prisoners, a new constitution and an elected government. Since the deaths, protestors have taken over “Pearl Square” a major traffic intersection at the heart of Bahrain’s financial district. Thousands of protestors have been spending the night under makeshift tents and blanket, with one protestor using a bullhorn to urge others to stay until the Government responds to their demands for change. For almost two decades, legislators and Presidents have treated immigration detention as some sort of “magic bullet” that will deter would be immigrants from crossing the U.S. border, instill terror in communities so that immigrants will voluntarily leave, and criminalize individuals through incarceration if they choose to fight deportation because they are U.S. citizens, refugees, lawful permanent residents, or breadwinners with long-time ties to their U.S. families, communities and workplaces. Today NPR reported that Arizona’s recent draconian immigration law, SB1070, was written in collusion with the leadership of for-profit prisons and their lobbyists. The law requires Arizona police to stop and ask for papers proving legal residency if the officer has “reasonable suspicion” to believe the person is undocumented. If the person can’t immediately produce papers, she will be arrested and detained. Lawsuits arguing that the law was unconstitutional were almost immediately filed because it would be almost impossible to “identify” an undocumented person without resorting to racial profiling. Depriving someone of their liberty through detention is a very coercive measure, which carries a strong stigma and severely impacts on individual rights. Criminalizing immigrants, not only by imposing criminal penalties for entering or remaining in the U.S without permission, but also by stigmatizing and criminalizing third parties who care for them, may have the effect of limiting or entirely denying protection and access to fundamental human rights, such as adequate housing or health care. At the same time, documentation shows that “inflexible policies of exclusion, which are enforced through severe punishments of a penal nature and deportation for their breach, feed directly into the hands of traffickers,” who each year enslave thousands of women, men and children in the U.S., while the federal government adamantly declares its intention to protect trafficked persons. For years, advocates have linked the massive growth in immigration detention with the exponential profits reaped by private prisons. Meanwhile, the U.S. government has picked up the enormous bill for a prison system that is widely viewed as cruel, inept and dysfunctional. It’s not good immigration policy, but it’s a terrific business strategy. Tell Your Senators to Support the DREAM Act! This Tuesday Senator Majority Leader Harry Reid announced that he would include the DREAM Act in a defense authorization bill. The DREAM Act will help thousands of committed students and military officers to legalize their status in the United States. Currently, they face unique barriers to higher education, are unable to work legally in the U.S., and often live in constant fear of exposure to immigration authorities. The DREAM Act would provide certain conditional legal status, if students attend college or join the military. It would also allow immigrant students access to higher education by returning to states the authority to determine who qualifies for in-state tuition. Amnesty International supports the DREAM Act because it upholds significant human rights goals including the right to education and the right to family life and unity. This is an incredible opportunity to fulfill the human rights of young immigrants in the United States. Urge your Senator to support passage of the Dream Act now! Currently, undocumented children in the US are constitutionally guaranteed the right to access public education. However, their ability to complete high school, as well as the opportunity to pursue university studies, is undermined by their lack of legal status. Undocumented children are ineligible for federal financial aid for higher education and, in most states, for in-state tuition at public universities. Education is a right worthy of protection itself. It is also an indispensable means of realizing other human rights. All children, without discrimination of any kind, including on the basis of their status or the status of their parents, have a right to education. General Comment No. 13 of the Committee on Economic, Social and Cultural Rights establishes that states are obliged to ensure that education is accessible to everyone, without discrimination, within the jurisdiction of the state. Accessibility includes non-discrimination, physical accessibility, and economic accessibility. Film lovers all over the world admire the many masterpieces of Iranian cinema. One of Iran’s most acclaimed film directors, Jafar Panahi, has won numerous awards including the coveted “Golden Lion” from the Venice Film Festival and he has been invited to this year’s Cannes Film Festival which opens tomorrow, 12 May. Unfortunately, the government of Iran seems to regard Mr. Panahi not as a great national treasure and source of pride but as a great danger, and has locked him up in Tehran’s notorious Evin Prison, without charge, for more than two months. Jafar Panahi’s films have been described as “social realist” and often provide a critique of the treatment of women and other disadvantaged people in Iranian society. His first feature “Badkonake Sefid” (White Balloon) used non-professional actors to tell the ostensibly simple story of a small girl attempting to buy a goldfish for her family’s Nowruz (Iranian New Year) celebration. “Dayareh” (Circle), for which he won the Golden Lion, is a film comprised of interlocked tales about several socially marginalized women struggling through challenging circumstances that reveal the oppression of women. In “Talayeh Sorkh” (Crimson Gold) a Tehran pizza deliveryman gradually unravels as he encounters indifference and condescension. Mr. Panahi’s 2006 movie “Offside” combines humor with social criticism in a story about some girls who disguise themselves as boys so they can attend a soccer match, which is off-limits to female spectators. Several of his films have been banned in Iran but are his films the reason for his imprisonment? The Iranian government has yet to charge him with any crime, although on 14 April 2010, the Minister of Culture and Islamic Guidance said that Jafar Panahi had been arrested because he was making an anti-government film about the disputed presidential election of 2009. After a brief detention in July 2009 for having taken part in an event mourning the killing of post-election protester Neda Agha-Soltan, He was banned from travelling abroad, including to the 2009 Berlin Film Festival in which he was due to participate. Amnesty International is extremely disappointed that Arizona Governor Jan Brewer signed into law SB1070, a bill that will significantly increase the likelihood of racial profiling, arbitrary arrests, and detentions in the state. By forcing Arizona police, the vast majority of whom opposed this law, to implement it or face lawsuits is bad policy and will drastically undermine communication between communities of color and the police who are supposed to keep them safe. As the governor said when signing the bill, national immigration legislation is desperately needed, but the absence of it does not abdicate the governor’s own responsibility to preserve, promote, and protect the human rights of every individual in Arizona, whether citizen, resident, or visitor. Human rights exist regardless of nationality, ethnicity or immigration status. In passing SB1070, Arizona public officials have ignored this truth to the detriment of every individual who passes through the state. Tell Arizona's Governor to Veto SB1070!!! UPDATE: Much to our dismay, Arizona Gov. Jan Brewer (R) signed the immigration bill (SB1070) on Friday. We will continue the fight for immigrant rights. The Arizona House and Senate have passed a bill (SB1070) that would empower police officers to stop and interrogate every individual in the state regarding citizenship status and make it a crime to be an undocumented person in Arizona. If a person does not immediately present documents proving that she is legally in the US, she may be criminally prosecuted, jailed and turned over to Immigration and Customs Enforcement for deportation. The bill contains no safeguards against racial profiling and increases the likelihood of arbitrary arrest and detention. These are all human rights violations. Because SB1070 has already passed in the Arizona house, it’s next stop is the governor’s office. Tell Governor Jan Brewer to veto the bill. Join activists across the US as they visit the Governor on April 20th to express opposition to this bill. The scapegoating of migrants, the deliberate fueling of fear and the nurturing of discriminatory, racist and xenophobic sentiments by some politicians and parts of the media have been accompanied by measures that have trampled on some of the most basic human rights of migrants, including the right to liberty and security of the person. Much of the public debate about migration is couched in terminology which is loaded and derogatory. People trying to enter another country are vilified as “illegal immigrants”, “gate-crashers”, and even as “invaders” seeking to breach the defenses of the US with malicious intent. The clear implication is that they are abusing the system and exploiting the generosity of states. Such descriptions create the impression not only that migrants have no right to enter, but that they have no rights at all. Discrimination through racial profiling is an assault on the very notion of human rights. It is all too easy to deny a person’s human rights if you consider them as less than human. This is why international human rights law is grounded in the principle of non-discrimination. The drafters of the Universal Declaration of Human Rights stated explicitly that they considered non-discrimination to be the basis of the Declaration. Discrimination enshrined in law, for example, where the law is used to target individuals based on nationality or ethnicity, strips away human rights. Discrimination in law enforcement can mean that certain groups are viewed by the authorities as ”potential criminals” and so are more likely to be arrested and imprisoned. It can also mean that they are more likely to suffer harsher treatment once in the criminal justice system. “If you don’t have enough evidence to charge someone criminally but you think he’s illegal, we [ICE] can make him disappear.” So said James Pendergraph, former Executive Director of the ICE Office of State and Local Coordination, in August 2008. I was in attendance at the Police Foundation National Conference where he made this bold assertion, and I couldn’t believe my ears. I actually asked the person next to me if he had just said what I thought he had just said and she affirmed it. Yes, he had just told an audience of police officers, sheriffs and other law enforcement personnel that Immigration and Customs Enforcement (ICE) could make people disappear. Was I in Chile during Pinochet’s dictatorship? Argentina during the dirty war? Sri Lanka, Iran or some other country where public officials boldly and publicly asserted such an awesome and illegal power? No, I was in the United States, where many ICE officers and their delegates run amok with almost no oversight or accountability. More scary: in August 2008 James Pendergraph was in charge of managing and overseeing the 287(g) program, which delegates federal immigration enforcement authorities to state and local law enforcement agencies. Unfortunately, it is not at all shocking that today the DHS Office of the Inspector General released a report on the 287(g) program outlining a variety of grave concerns including woefully inadequate safeguards against racial profiling and other civil rights violations, deficient training and supervision of 287(g) empowered police officers, misuse of the 287(g) authority, including one incident in which the victim in an accident was brought to a jail to be processed for deportation, and misleading information to the public about the 287(g) program from the highest levels of ICE leadership to sheriffs on the ground – unfortunately, also not out of the ordinary these days. For many years, communities subject to the 287(g) program have raised and fought against a variety of unconstitutional acts by police officers acting under this authority. Without a meaningful complaint mechanism the denigration of their human and constitutional rights has continued without acknowledgement or remedy. In fact, it is the outrageous position of ICE that it has no legal responsibility for the actions of 287(g) officers, even though Memorandums of Agreement make clear that law enforcement may only perform immigration enforcement activities under ICE supervision. •	Stop the use and misuse of state and local police officers by suspending all 287(g) agreements. •	Develop performance goals for 287(g) officers that do not focus on the number of immigrants encountered by officers as it incentives unjustifiable stops and arrests. •	Ensure that the training and guidance provided to 287(g) officers thoroughly prepares them to make critical decisions, including whether they will deprive people of their liberty, separate them from their families, and exile them to countries they may not know and governments they may well fear. o Adequate food and water (ICESCR, CRC, CEDAW).